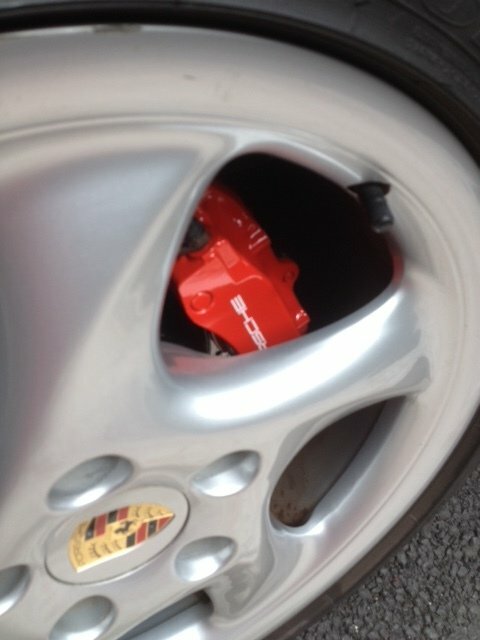 Managed to get the the rear calipers painted, new decals fitted then clear lacquered in 2k clear. Match the fronts perfectly now. While I was there I painted the disk hats and edges black. 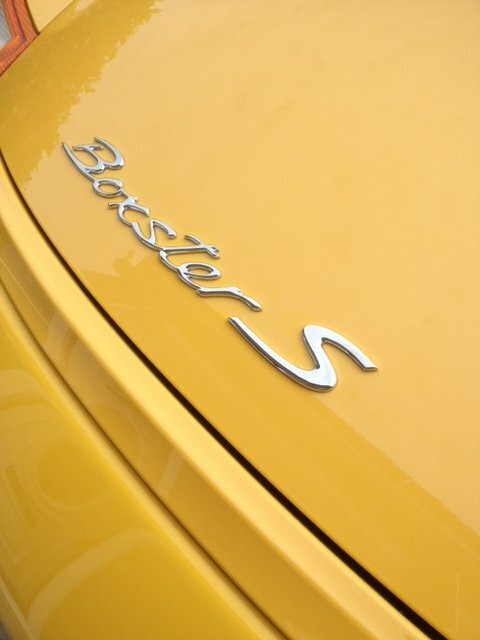 Got around to replacing my rear boxster S badge on the boot lid too. The titanium effect one on there had had the tail of the B broken and glued back on at some point. I can only imagine a previous custodian did it when washing or drying. 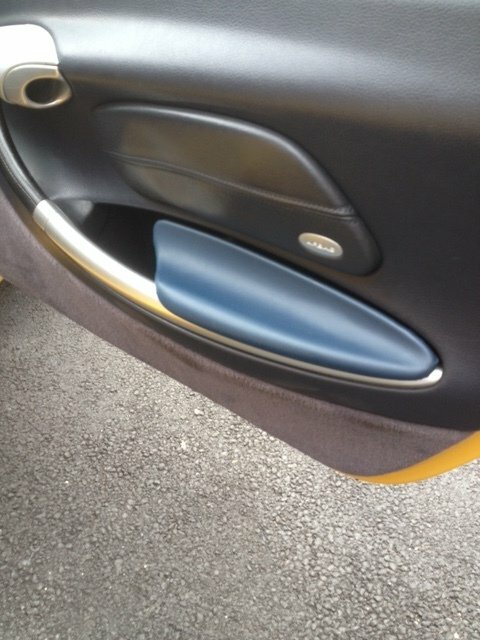 Well it finally came off so Iv replaced the badge with the chrome effect one from the special edition boxster S.
I also covered my badly scratched door pocket lids with blue leather but I hate it so it coming off and going to be vinyl covered silver by my mate who owns a vinyl company. Oh ye its also going in on saturday for full wheel refurb then powder coated, I'm keeping it the same oe colour.